His Eminence Dr. Madhu Krishan The Founder & Chairman Of “Academy Of Universal Global Peace” (AUGP) Conferred Doctorate Degree to Her Excellency Mrs. Zara Hasan On The Recommendation Of The International Governing Council Of AUGP. Ambassador Of Goodwill Of Peace of AUGP, Ambassador Dr. Zara Hasan is academically highly qualified with various specializations . Basically holding Masters Degree in International relations. 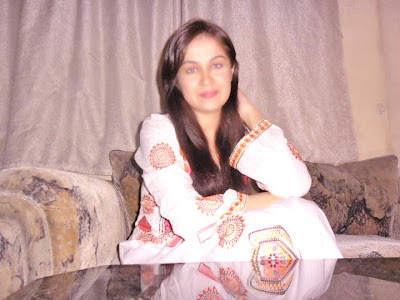 She started working as a volunteer in “Make A Wish Pakistan” & over a span of time she started contributing her knowledge & experiences for addressing the Global emerging issues. Her Passion & interest in Research and development, she started her research in herbs and herbal medicinal products 2 years back in her own agricultural lands by making use of innovative & Scientific Herbal Medicines Botanicals, Phototherapy by doing research on plant or plant part with the motive of making use for its scent, flavor or therapeutic properties & ultimately producing Herbal based products as Dietary Supplements to help People to improve their health. Many herbs have been used for a long time, ages, years, for claimed health benefits. They are sold as tablets, capsules, powders, teas, extracts and fresh or dried plants. She has become more Popular & Internationally know figure by her Research work on a specific Plant called , “ MORINGA” & producing Tea . 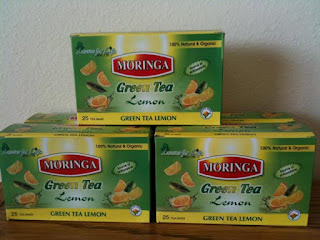 The Commercial market name of her Herbal Tea is “Moringa Green Tea “ which is miracle performing on the Health of People as many Testimonies recorded ,says so . She is very sure that in coming years she will be exploring more herbs based Dietary supplements which are extremely healthy for human being.. Her Mission towards Humanity is her Passion through which She is dedicated in her Mission of Peace Building beyond all boundaries of Nations, Language, Cast ,Creed, Diverse Culture, Colour etc, Worldwide. "PEACE LOVING - PEACE LIVING - PEACE PRACTICING COMMUNITY"
WE FIRMLY BELIEVE IN: - ONE GOD- ONE GLOBAL EARTH - ONE NATION & WE ALL ARE THE GLOBAL CITIZEN OF ONE GLOBAL NATION. LEARN PEACE-TEACH PEACE-PRACTICE PEACE CULTURE & LIVE WITH PROSPERITY & DIGNITY , VALUING EVERY CREATIONS OF GOD. We Practice with Absolutely Inter-Denominational, Inter-Cultural, & with Holistic Attitude. And UNITED NATIONS HUMAN RIGHTS & ALL CHARTERS OF UNITED NATIONS & ALSO OF EUROPEAN COMMISSION.